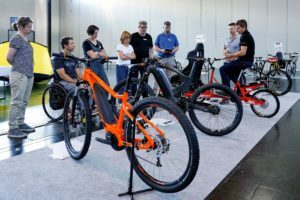 LAS VEGAS, USA – With more than 750 exhibitors representing more than 1,200 brands, Interbike is the largest annual gathering of the bike industry in North America. Yesterday the show started with its leading event, the Outdoor Demo in Bootleg Canyon just out of the city of Las Vegas. Keynote speaker at the Interbike industry breakfast is John Burke, CEO of Trek Bicycles. 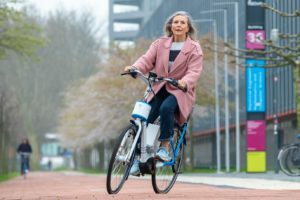 On Wednesday morning 19 September, Interbike will open its doors as a trade show only to emphasize the one stop opportunity concept for the retail and industry. Visitors are excited to discover emerging trends and learn new business ideas at Interbike University. According to the show organization 250 out of the 750 exhibitors will be displaying their products for the first time. For most of them Interbike created a new section called, The Lab. This is an interactive area which features the most innovative products from a broad range of new and existing vendors. 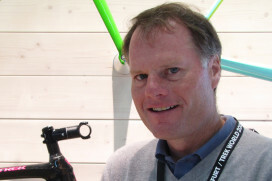 Pat Hus, Managing Director for Interbike also notes a growing interest from overseas exhibitors. 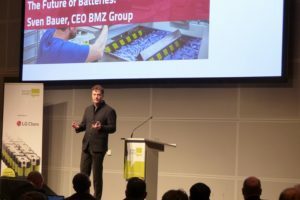 “New companies from China, Germany, Taiwan, and Italy have contributed to the over 10% increase in international exhibitors versus 2011”, said Pat Hus. Another new event this year is the Interbike industry breakfast presented by Bikes Belong and the NBDA. 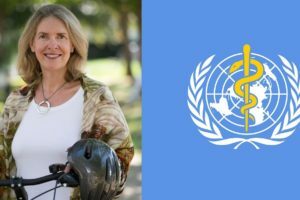 This event will feature John Burke, CEO of Trek Bicycles as the keynote speaker. 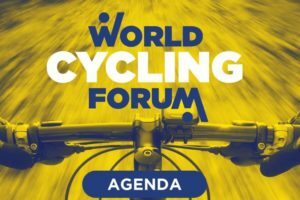 Burke’s keynote presentation will address a clear plan to grow the U.S. bicycle business and what the industry needs to do to make it happen. 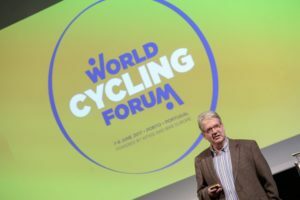 He plans to describe the crucial role that the industry must play to create an effective movement that links bike businesses and consumers to shape a cycling-friendly future. This call-to-action presents the pathway to doubling the size of the U.S. bike industry and dramatically increasing IBD sales.